Among the film adaptations of Stephen King’s written work, pickings are slim for cinematic quality. Apart from The Shining (which King himself disliked), Stand By Me, and Misery, most of the rest runs the gamut from mediocre to bottom of the barrel. The Shawshank Redemption, a product of first-time director Frank Darabont in an impressive debut and Castle Rock Pictures—the company of producer Rob Reiner, who directed Stand By Me and Misery—and an adaptation of King’s novella Rita Hayworth and the Shawshank Redemption, is a notable exception. 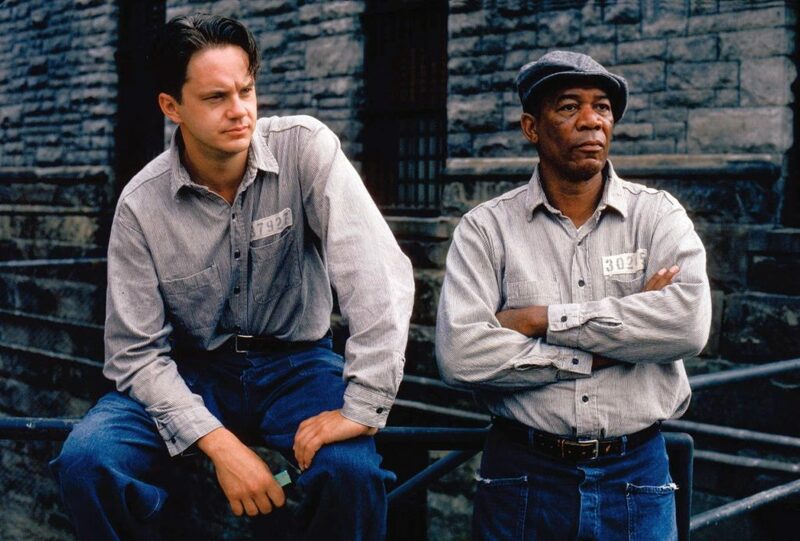 In fact, The Shawshank Redemption is not only possibly the best film adaptation of a Stephen King work, it’s a great film period, telling a powerful and compelling story that involves wrongful imprisonment, prison abuse and corruption, but despite its grim subject matter ultimately manages to be both uplifting and cathartic.